Are you a budding Artists that wants to create with other like-minded people? Want to work on your own project but in a group environment - Want to meet new friends? Then this is for you. 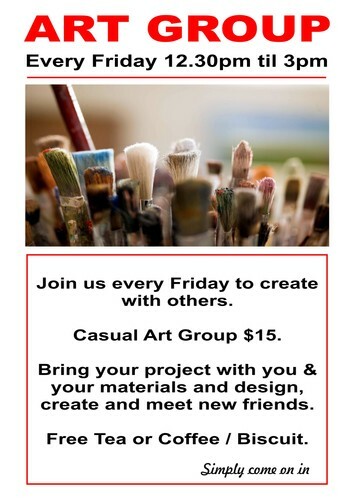 Simply turn up with your art materials and project and create with others, share ideas and have fun and meet new friends.